It’s another New Moon giving us a chance to transform, release, surrender and start a fresh cycle. What message has the New Moon for you? What do you need to let go of and where are you travelling to? 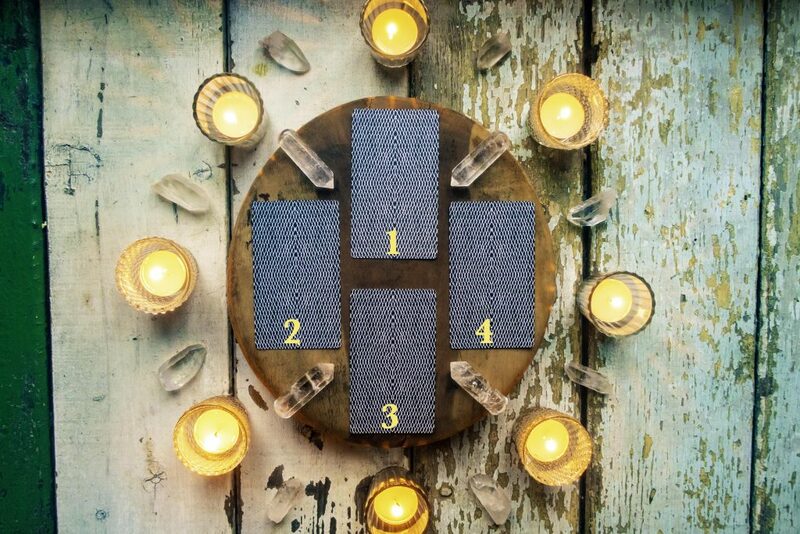 Perhaps one of the four Tarot cards below has an answer for you? Tune in, chill out and choose one of the cards. As usual, it’s a great idea to ask your own psychic intuition what the message will be. Hooray! 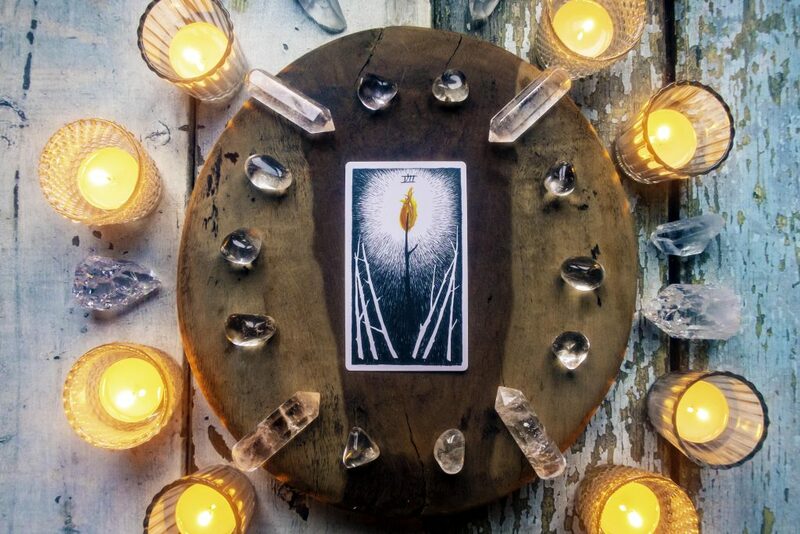 The Ace of Cups is all about new emotional beginnings. In the Wild Unknown, the Ace of Cups is the card of Love beginnings. What do we mean by this? 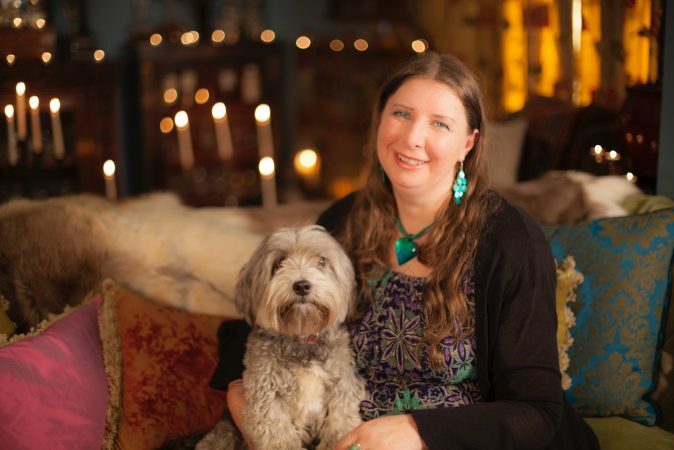 It could be that the New Moon is bringing you a brand spanking new beau? Perhaps a divine lover or a rebonding/reconnection with a current lover? How much do you love yourself? 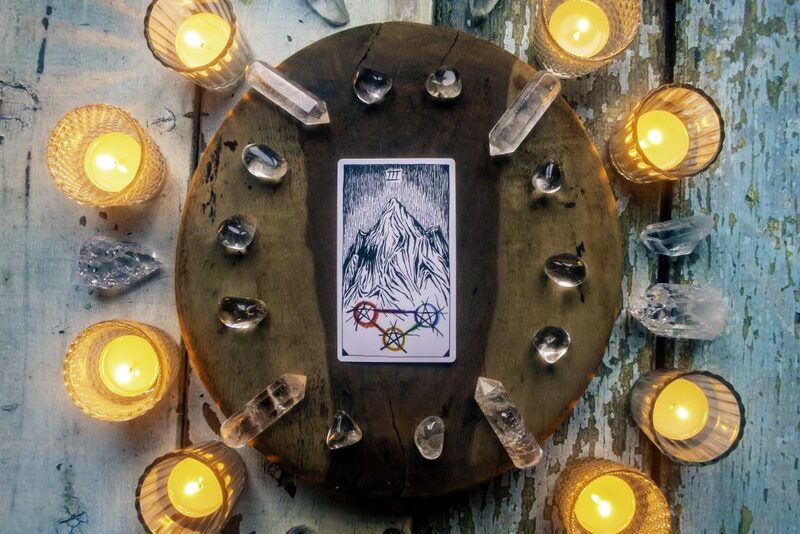 The Ace of Cups reveals that the more we value and love ourselves the greater abundance can flow. Create a pact with yourself to be your own best friend, to be your own hero, and nourish and nurture yourself in this next phase. 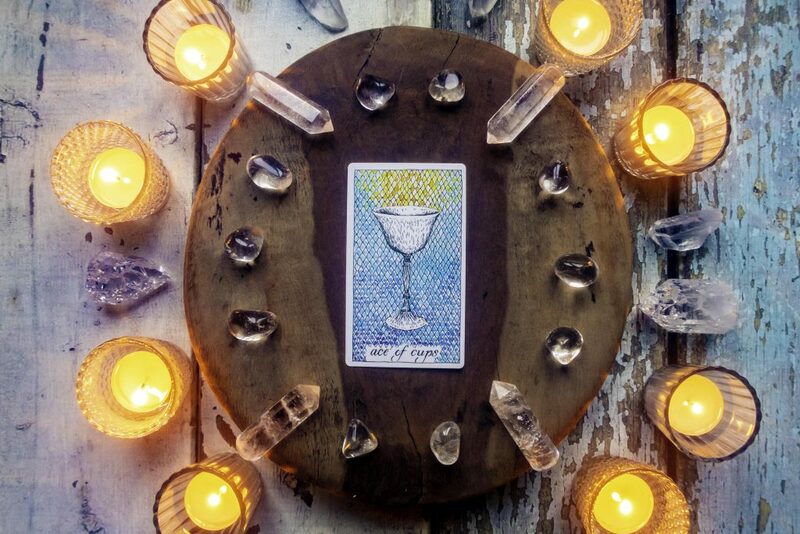 The Ace of Cups is traditionally seen as the holy grail of emotional fulfilment. Your loving cup is about to run over with joy. Be true to yourself and a feeling of spiritual ecstasy could be on the way! Yeah, baby! The World is possibly the most fabulous card to receive. You are about to have a peak experience. You are reaching a goal, and living in a moment of completion. This is a delicious card of contentment, peace, pleasure and happiness. The New Moon is telling you that you have the answers. You know what you need to release to be in a place of total ease. The struggling can now come to an end. Let go of anything or anyone that is causing you grief. 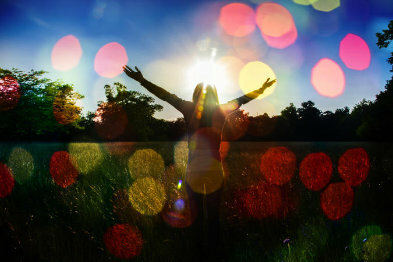 Open your arms to what is positive around you and snuggle into a moment of pure bliss. 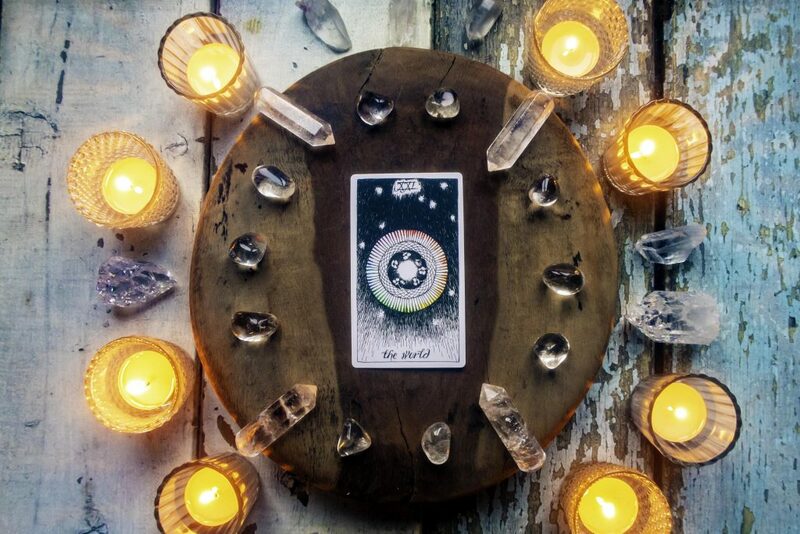 The New Moon speaks to you about laying solid foundations. Every journey starts with the first step. You are about to embark on a collaboration or joint venture to lead you to the top. Yes, you have a gritty and determined climb up the mountain ahead of you. But, you can do it! The good news is that you have all the gear you need to succeed. You’ve packed courage, willpower, and all the lessons you’ve learned in the past. You’ve got a backpack filled with self-awareness and compassion for yourself and others. The New Moon is asking you to trust yourself and to know you deserve to achieve your goals. Hey Warrior Soul, You may have been struggling recently. There have been numerous difficulties but you have fought on. You are doing far better than you think. Look at the lighted wand creating a clearing in front of it. You are that light. The New Moon is revealing that the time for fighting is over. Let your inner light lead the way. If you have a dynamic of fighting with a lover/friend/family member or even work colleague, it is time to shift the pattern. Do not be drawn into a psychic vampire battle. Do not fight fire with fire but shine your deeper awareness into the situation. When we change our response we can escape from drama and hassle. Follow the light of your wisdom and love.